Book your transfer with International Taxi and Shuttle Company on our Private Airport Transfer service today! At International Taxi and Shuttle Company our Private Airport Transfer service is available for transfers between Bishop Airport, and 18 locations across United States. The Private Airport Transfer service aboard International Taxi and Shuttle Company is an express on-demand door-to-door transfer service. Your vehicle will be travelling exclusively for you and your group, directly without stops or delays, to your destination. Your transfer time will be best suited to match your specific requirements and the driver will pick you up and drop you off whenever it suits you. Our Private Airport Transfer service is available 24 hours a day 7 days a week and can be booked up to 24 hours ahead of travel. At International Taxi and Shuttle Company we offer fixed transfer fares starting from $26.67 USD total one-way and with enough seat capacity for up to 2 passengers. Your final fare with us includes luggage allowance for 1 carry-on bag and 1 check-in bag per passenger. Also included in all our fares are airport parking fees, any tolls along the route and your drivers waiting time. 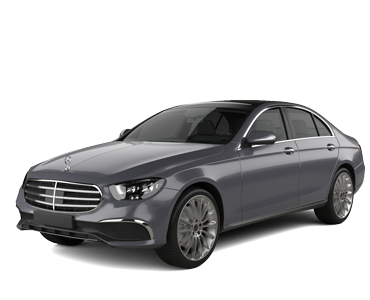 International Taxi and Shuttle Company is a transport company based in United States and we have been a professional transport supplier on Jayride since November 2015. Why fight airport traffic! Our professional taxi drivers will pick you up and drop you off at your gate safely. Advance reservations are not required, but for those who prefer, please call and our reservation specialist, they will gladly assist you with your request. Traveling consists of much preparation and high damage to your wallet already, not to mention the additional fees and waiting time for airport shuttles. Let Veteran’s Cab Company efficiently and without hassle see you curb side. Veteran’s Cab is the most cost effective and convenient service ‘to and from’ the Genesee County Flint Bishop Airport. With the largest and best transportation fleet, you will never fear missing flights or unsafe travels to your destinations.